The City of Avondale is ranked one of the fastest growing residential areas of Maricopa County, Arizona. With 54,000 current residents, Avondale has come a long way from its agricultural past. Parks, recreation areas, picnic ramadas, and nature trails are found throughout the city. These amenities create a vital balance to the City's incredible growth in commercial and residential development. Unique to Avondale are the three rivers that traverse the City - the Gila, Salt and Agua Fria Rivers. The convergence of these rivers within Avondale presents a unique opportunity to build an open space system around resources meant to convey flood waters. Avondale's award winning Wetlands project, assures the City an adequate water supply for the next 100 years. Avondale is the first West Valley city to achieve this milestone. 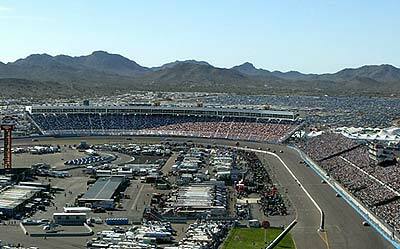 Avondale also is home to Phoenix International Raceway, a world-class motor sports venue nestled in the foothills of the beautiful Estrella Mountains. Today, Avondale is a popular NASCAR destination.